Introduce children to gardening, adventure, humor and more, while connecting to literature. 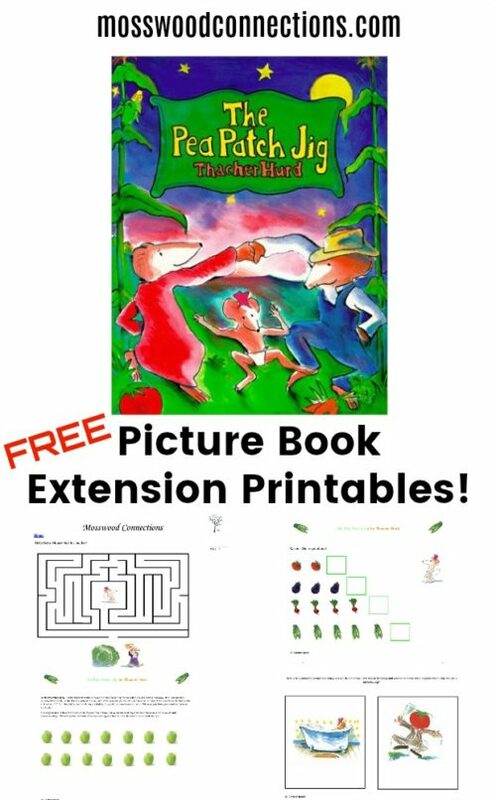 Get the kids excited about reading with The Pea Patch Jig Book extension activities. To explore what it means to misbehave. To show students how plants grow. To present the concept of being brave and going on an adventure. To connect literature with humor. The PeaPatch Jig is one of my new favorite books! I have been reading it to the kids at work and they all love the book. One child was having a tantrum (I wouldn’t let her eat paint.) so I went to the other side of the room and started reading The Pea Patch Jig. By the second page, she had stopped crying. By the third page, she came to sit next to me and by the fourth page she had completely forgotten her distress and was fully engaged. “Where the pole beans climb, where the tomatoes grow fat, where the onions smell sweet and the corn is yellow as the summer sun, that’s the garden of Clem — Farmer Clem.” So begins this story about Baby Mouse, a tiny mouse who loves to go exploring in the garden. But watch out! You never know what might happen when Baby climbs into a head of lettuce or up a tomato plant, or when there’s a fox on the prowl. These are some of the ingredients of The Pea Patch Jig — a book as refreshing as a summer evening in Vermont. Ask questions; sample questions are below. Discuss what it means to misbehave. Ask how it would feel to be the farmer, the parents, Baby Mouse. Ask the children to point out different parts of the illustrations. Have the children count how many vegetables they see in the pictures. Have the children predict what will happen next. Why doesn’t Farmer Clem know the Mouse family shares his garden? What is a Midsummer Party? Have you ever celebrated Midsummer? What happened when Baby Mouse climbed into the lettuce? What do you think would happen if Farmer Clem noticed that Baby Mouse was in the lettuce? What would happen to you if you left the house and went outside by yourself? What does the fox want to do? What does Baby Mouse do to stop the fox? Plant some flowers, grow a potato, have the students grow grass in a basket. Instructions for some gardening activities are below in the Additional Resources. Have the students draw pictures about the book. Download the Printable Pea Patch Jig Coloring Page. 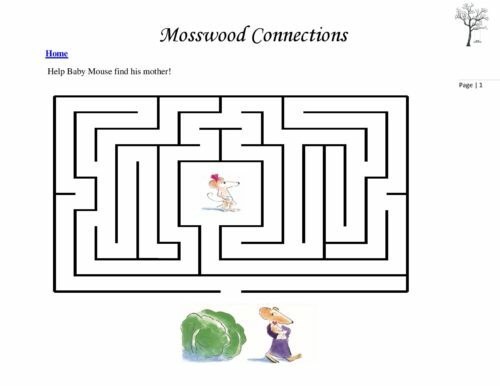 Give the students the printable Pea Patch Jig Maze Worksheet. 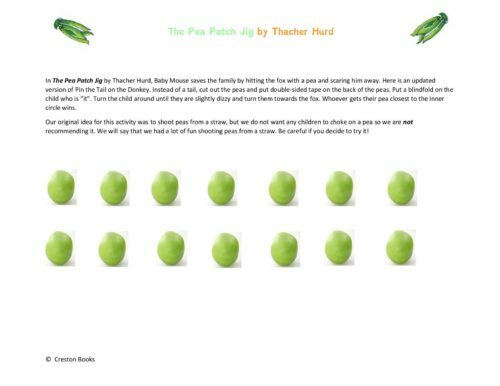 Give the students the Pea Patch Jig Matching Worksheet. Play “Put the Pea on the Fox Target Game”. 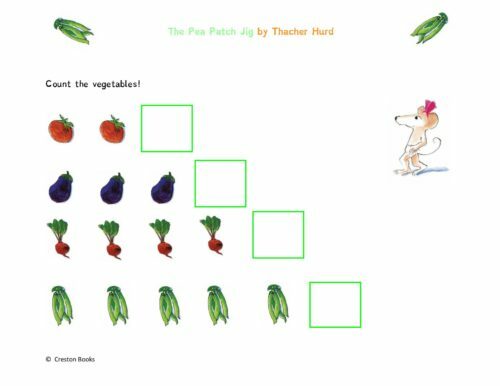 Explore math with the Pea Patch Counting Worksheet. Learn about gardening at My First Garden. Learn how to grow a potato. Grow grass in a basket. Gardening songs and coloring pages. 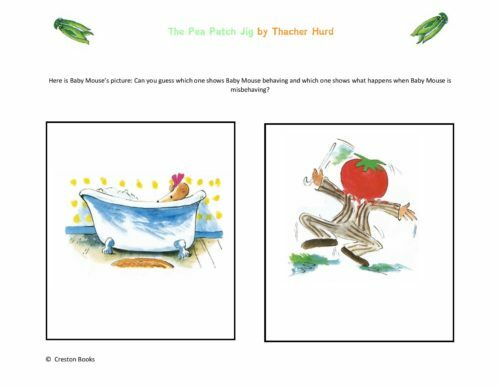 Images and information about The Pea Patch Jig used with permission from Creston Books.